Our on-site dietary staff includes a registered dietitian and a dietary services supervisor. Meals are prepared on site. Breakfast is served at 7 a.m., lunch is served at 12 noon and dinner is served at 5 p.m.
An on-staff social worker is available to assist the resident and the resident’s family to understand and cope with resident’s personal, emotional and related health and environmental problems. Residents have the option of having their personal laundry done here at the facility or done by a family member at home. Laundry service is provided at no fee. We ask that you provide only “machine washable” clothing. All resident clothing must be labeled with the resident’s name. There are no personal phones in the rooms. A phone can be placed in the room by the local phone company at the cost of the resident. All billing questions for the Skilled Nursing Facilities are handled by the Hazel Hawkins Billing office. 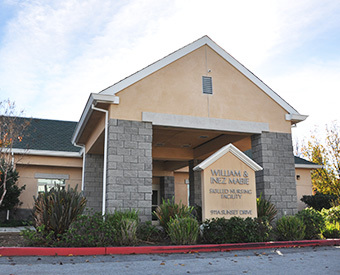 Mabie Skilled Nursing Facility accepts Medicare, Medi-Cal and private Insurance. Our Medi-Cal Eligibility Worker in the Registration Department can assist you with all aspects of the Medi-Cal application. The Activity Program provides a broad array of activities for all residents. The residents enjoy community outings, crafts, painting, music, pet therapy, exercises, puzzles, parties, bingo and holiday celebrations just to mention a few. The facility has space available for private resident parties and family visits. Arrangements for private parties can be made with the Activity Director. There is an on-site beauty shop for resident use. Resident/family can make arrangements with Bertha Reyes to have their hair done with a professional hair dresser for such services as hair color, haircuts, perms and shampoo & set, for a small fee. The Interdisciplinary Team meets with each resident and their representative on a regular basis to plan appropriate care that will meet the resident’s medical, psychosocial and spiritual needs that will help the resident function at his/her highest level. Each resident/representative will be notified of the time and date of the care conference in which their care plan will be reviewed. There is a RN on duty 24 hours a day. Feel free to call with any questions. Our Rehabilitation Department includes registered physical therapists, occupational therapists, speech therapists, physical therapy assistants as well as rehabilitation aides. The Rehabilitation Department is devoted to providing quality care to all residents. Residents can be found improving their mobility, activities of daily living, cognition and speech in the newly built rehabilitation gym. An on-staff medical social worker is available to assist the resident and the resident’s family to understand and cope with resident’s personal, emotional and related health and environmental problems, as well to provide psychosocial support. All billing questions for the Skilled Nursing Facilities are handled by the Hazel Hawkins Billing office. 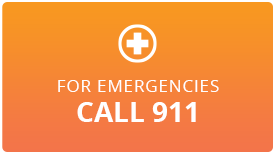 They can also assist you with all aspects of a Medi-Cal application. 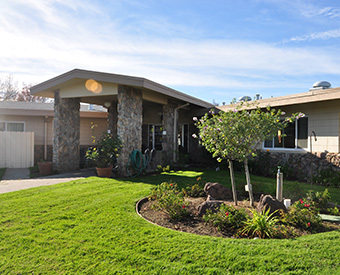 Mabie Skilled Nursing Facility accepts Medicare, Medi-Cal and private Insurance. There is an on-site beauty shop for resident use. Resident/family can make arrangements with Roxanne Lopes at (831) 635-1116 to have their hair done with a professional hair dresser for such services as hair color, haircuts, perms and shampoo & set, for a small fee. There are Registered Nurses on duty 24 hours a day. Feel free to call with any questions.